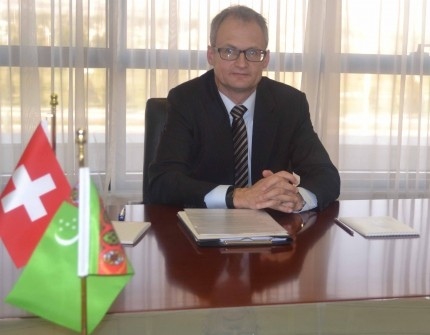 AKIPRESS.COM - Ambassador of Switzerland to Turkmenistan based in Baku Philipp Stalder is completing his diplomatic mission to Turkmenistan, Turkmen foreign ministry said. The Ambassador thanked Turkmen diplomats for cooperation. The parties discussed human rights cooperation, according to the MFA. They also discussed cooperation in economic, environmental and humanitarian spheres.